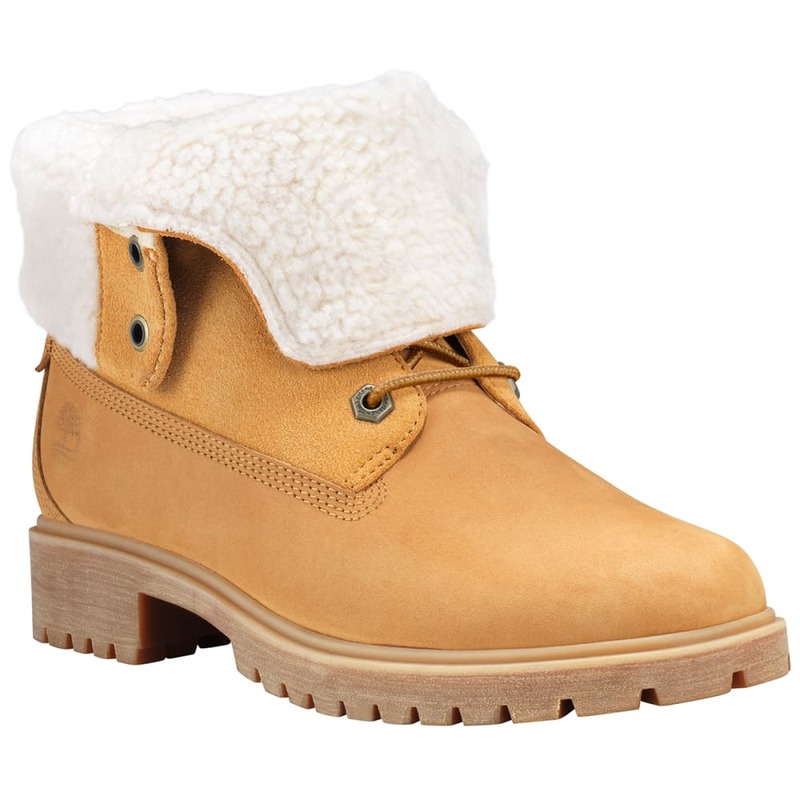 At face value, this boot is all style, from the Teddy fleece lining to the fold-down shaft. Yet, a closer look reveals a series of tough features meant to get you through the winter: Two levels of waterproofing, a lugged, work boot-like outsole, and cozy lining to keep your toes warm. Timberland waterproof leather footwear uses waterproof-impregnated properties that become part of the leather during the tanning process. They also either seam-seal the footwear or use an internal waterproof and breathable membrane to help feet stay dry. Ortholite® footbed: OrthoLite® comfort foam insoles provide moisture transport, antimicrobial function and long-term cushioning. The ultra-breathable material won't break down or lose cushioning over time, keeping your footwear comfortable and supportive.